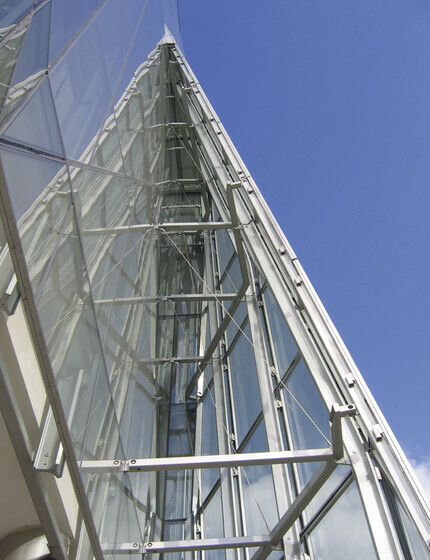 Through several high performance measures, including energy efficient lighting and demand base ventilation, Spertus uses 29% less energy than a comparable building. This facility for the Spertus Institute includes a library, exhibition galleries, a 400-seat auditorium, classrooms and administrative offices. 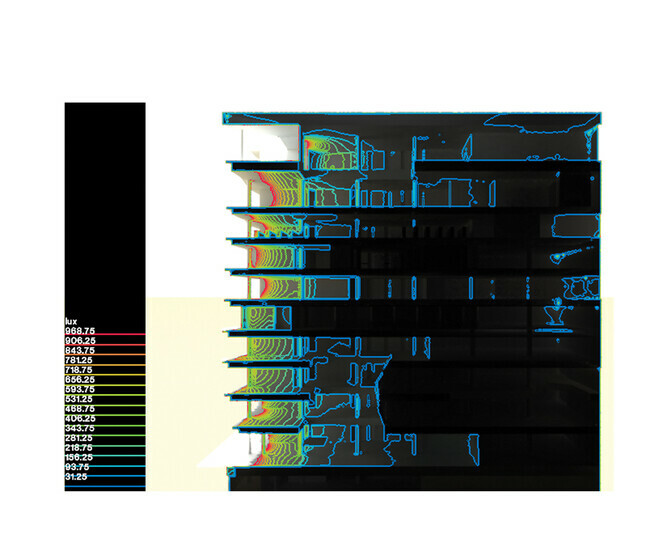 Atelier Ten provided several detailed design stage daylight studies to advise the architects on improving daylight distribution and to assess whether the light conditions of the early design met the requirements of art preservation. 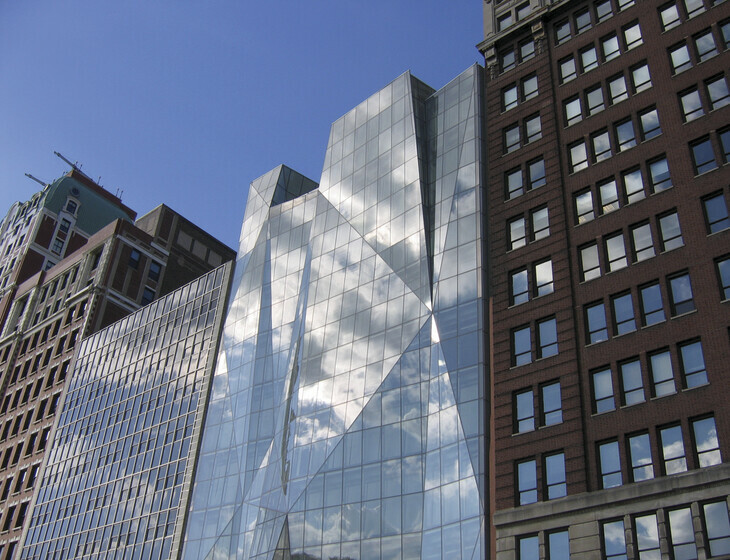 This was particularly critical in refining the design of the building’s signature façade. Atelier Ten evaluated daylight distribution from the all-glass eastern façade, a roof clerestory and light shaft, and a series of atria which connected floors in the interior. 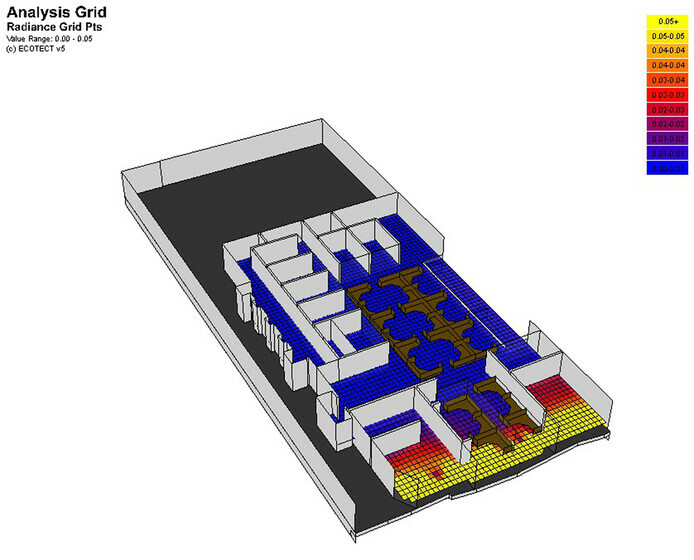 Atelier Ten modeled the classrooms first to assess general light levels and possible glare conditions. The light shaft was analyzed next, to see whether it effectively distributes daylight down from the roof. The atria were then examined, followed by the museum spaces. High performance lighting, demand base ventilation, several measures for reducing water consumption, humidity controls, and low-VOC furniture and finishes are some of the additional environmental measures integrated into the building.